You could never accuse a chef of having bad taste. Azuni, built on the taste of former chef Ashley Marshall, mixes precious metals with semi precious stones to create jewellery that is both stunning and wearable. Carefully sourcing materials and stocking at a wide range of locations, including both gorgeous Liberty and Browns, there really is an Azuni piece for everyone. 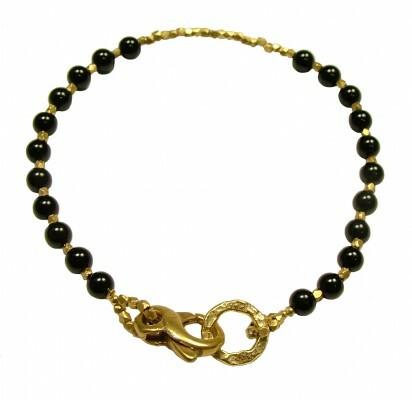 An upmarket twist on the classic friendship bracelet is this bracelet from the Athena range, made from round semi precious stones with gold plated spacers. As opposed to a nondescript conventionl fastening, Azuni have made it into a feature of the bracelet by using a generously sized, gold plated lobster clasp. There are 2 similar bracelets in the Athena range. 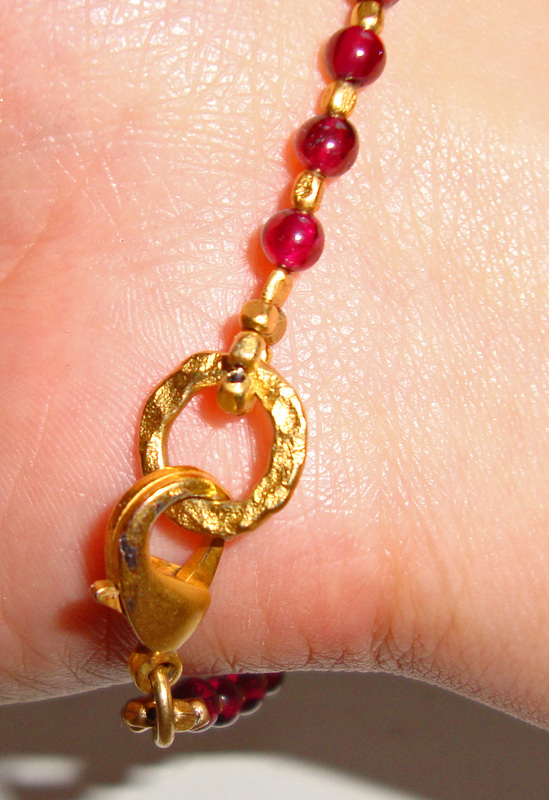 One features round stones throughout the length of the bracelet. Mine has a 1 inch section of the spacer blocks, which brakes up the look of the bracelet, making it appear even more delicate in style. 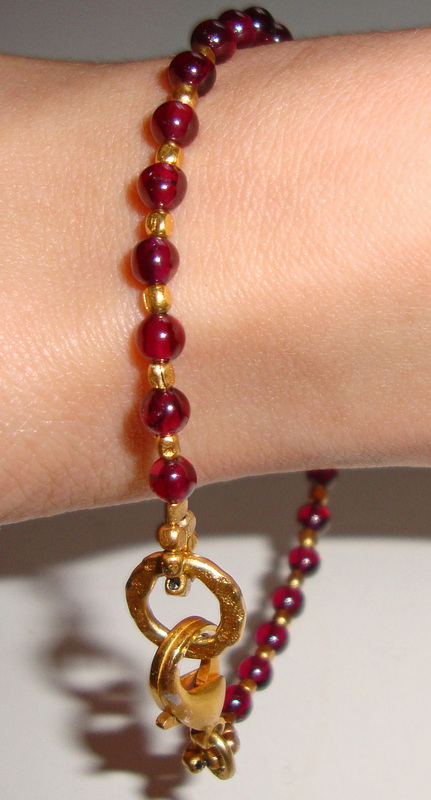 The bracelet measures 7 1/4 ” in length. And if the whole thing wasn’t adorable enough, every piece is delivered in a lined silk drawstring pouch. Lovely.